It's been a while since we last did a Test Kitchen post but since we had some moving to do out of Duc's apartment, a lot of my cooking utensils and ingredients were stuffed in random places. One of those was the bag of wild rice which was originally supposed to be the Test Kitchen ingredient to play with. When I finally found it recently, I then thought of ways I have seen it used. The grass seed, as it really is that, is hardy and have a definite bite to it that might deter people from eating much of it. It sure does fill you up. 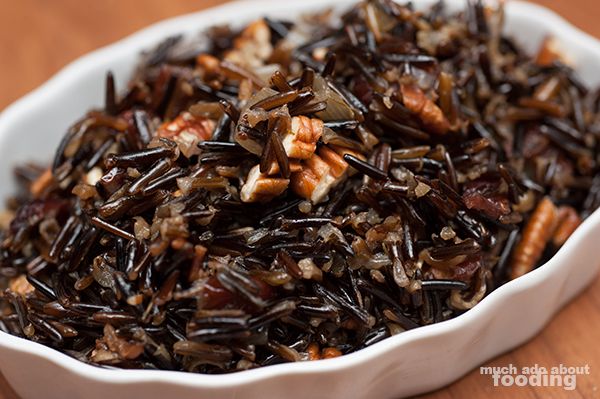 I've seen it used in Thanksgiving side dishes before so that was the inspiration for making this into a pecan cranberry recipe with wild rice. Sweet and nutty, it is great alone but also fantastic with a side of chicken, turkey, or even mild flavored beef! 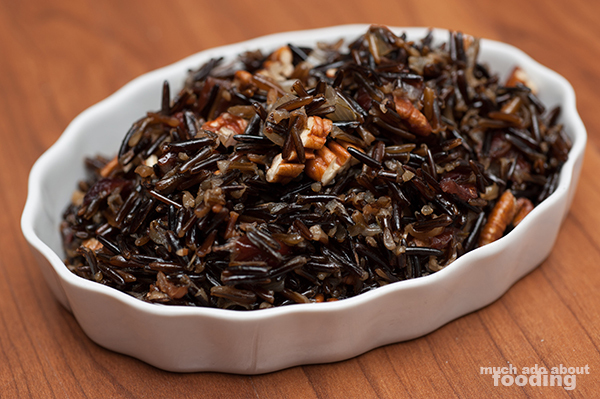 Wild rice can be tricky if you've never cooked with it before. I've always known it to be a chewy ingredient in the sense that it never seemed fully cooked. Other rice you've had is softer, including brown rice. This one is like smashing uncooked grains of rice between your teeth and realizing there was a soft part inside. So melt butter in a large pot and add in finely minced shallots. Cook until just translucent; then add wild rice. Coat the rice in the shallot butter before adding in all ingredients except for the pecans. Bring to a boil. Then reduce heat to a simmer. Cook 40-50 minutes until some wild rice kernels have popped a bit and water has evaporated. Taste for desired texture. Let cool before folding in chopped pecans. Enjoy! Are you a fan of edamame? 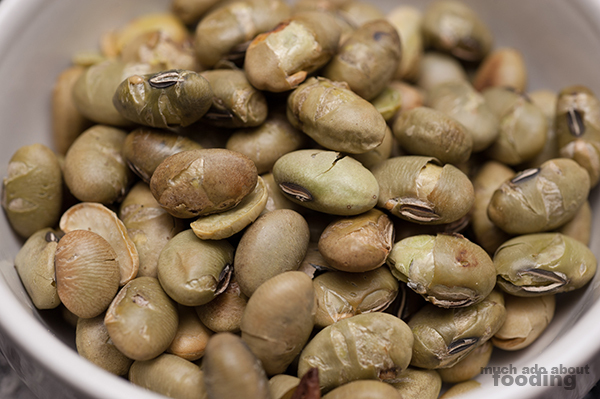 Did you know there is a dry roasted variety of this protein-rich food? You can capture it on a snackly basis by consuming it in dry roasted form. We got a bunch of these to play with and they are crunchy as if hardy snack puffs. Perhaps they could adorn a dish or be a crucial part of the final touches. What do you think we should do with these bad boys?